Anyone can use this easy-to-apply wound dressing hydrogel. Because it’s alcohol- and petroleum-free, it doesn’t dry the skin. Forms a smooth, protective barrier that never feels greasy. Over the years, silver ions were isolated using electrodes, direct current, and water. 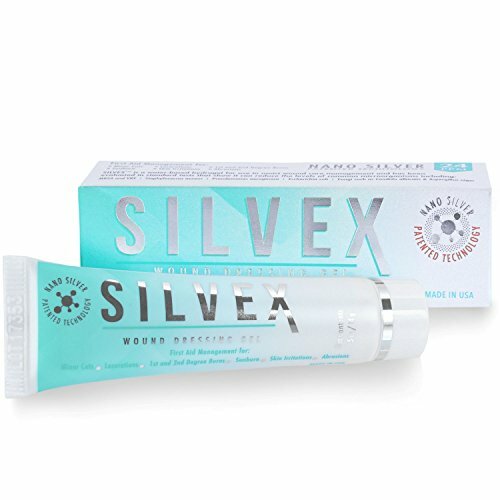 These silver solutions are very effective against bacteria; however, they are very unstable, requiring high PPM (parts per million) and aggregate (bind) in the body. This significantly more advanced Nano Silver Technology is More Stable, Bio-available and has Multi Modes of Action. Silver prevents bacteria cells from forming the chemical bonds they need to survive. Bandages with silver ions prevent bacterial growth and speed up healing time, making them valuable for treating burn and wound victims. Made in the USA & FDA approved. Patented Nano Silver technology provides superior healing power. Prevents infection such as: MRSA & VRE, STAPH (Staphylococcus aureus), Pseudomonas aeruginosa, Escherichia coli, Fungi such as Candida albicans & Aspergillusniger. Promotes FAST healing, accelerates the skin's natural healing process & minimizes the appearance of scars. Clinically tested and supported by over 300 clinical, university and laboratory studies.